I find searching via a search engine, provides a results that are relevant, but will almost always provide results that are rarely timely. Many of the articles are articles that occurred months and years ago. I do use RSS feeds and will continue to use RSS feeds. RSS feeds provide timely information and relevant information. The problem with RSS feeds though are that there is no way that you could watch and pay attention to all RSS feeds that are in the Internet. There is no way for you to find an article that was written by one person in an obscure blog. RSS feeds provide timely and relevant content, but misses on casting a wide net. While both Google searching and RSS Feeds provides a lot of information and I do use both methods, the one method I use find information that is timely and relevant information and casts a wide net is via twitter. For me, the use of twitter is to keep up to date on Enterprise 2.0 topics, including collaboration, mobility and multimedia. 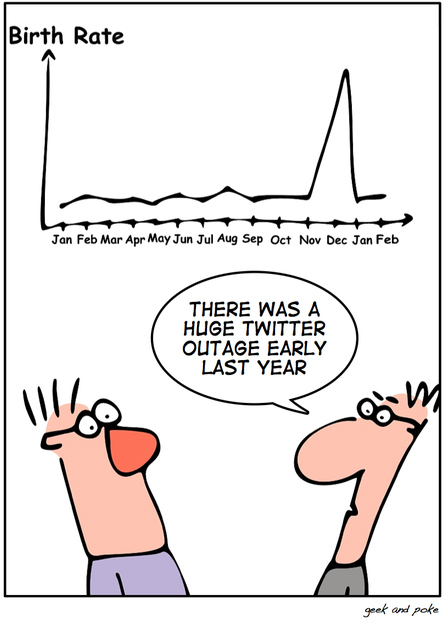 Basically, I use twitter extensively to keep a pulse on what is happening in E2.0. The question is, how does twitter allow for me to do these things? I can't say that I have been a user of twitter since the beginning. In fact, I have only used twitter for about 1 year. At the beginning I didn't know anything about twitter and why someone would want to use twitter. But over the year, I have learned what makes twitter twitter and why it is such a great tool to find the latest information. There are 2 major ways to stay on top of the latest information while using Twitter. The first is to follow the hashtag that people use related to your subject. For example, E2.0 uses the hashtag #e20. The second method is to follow a group of people that are mostly tweeting about the subject of interest. For example, if you know there is a small group of people that are in a specific field, follow those people. Inevitably, you will start to see tweets specifically related to that field. By following a group of people in your field of interest, you get to hear about what these trusted people think and do related to your field of interest. You also get to hear what they think is important as it relates to the field of interest. By following a hashtag, you get to hear from many people that you might not be following. There will be a lot more information in the hashtag, which can become overwhelming. But by following the hashtag, you will find some new people that are worth following. I plan on posting more about how I use twitter and its usefulness. Before I end this blog post though, there is one thing that is very important to remember. If you see something that you think is useful, re-tweet it while including a reference to the original person that sent the tweet..